Bindu says rani dharma and my son’s name is ashok. Charu recalls saying in compeition ashok came as well and his dad supported ashok instead. Noor recalls saying to siamak ashok and in these clothes? Siamak said isn’t he looking like a prince? She says he might consider himself a prince after wearing these clothes. shubrasi recalls asking dharma why you stay away from your son? dharma replied for his safety. Sushim recalls when ashok said i am not here to kill you. I just came to tell you that i will break your circle. he recalls bindu saying ask ashok for pardon. Siamak says to ashok are you my brother? Why didn’t you tell me. Now i know why i am so comfortable with you. He hugs ashok. Sushim says ashok can’t be my brother. His mom left you. We all know his mom is dead. Her funerals were done as well. Acharyaq says yes everyone thought that dharma had died. But the one died wasn’t dharma. She was some other woman. Sushim says how is this possible. Acharya says some things are unfolded on time. Today everything will be exposed. Charu says sushim i am dazed but there must be some reason. But you have to follow your guidelines. Acharya says you are right charu. There have been so many ups and downs in dharma and ashok’s lives. They had to stay away from samrat. Everything will be spoken today. Acharya says the man who did this is the one we called our savior. Noor says baba? Everyone is taken aback. Siamak says my granddad can’t do this. He says my granddad can’t do this sin. he is not a traitor. He can’t even imagine to kill me maa and baba. He loves me and maa. He protected my dad. He can’t conspired this. Acharya says you are right. He wasn’t involved in killing your dad. khalatak says on on side your are saying he was not involved in this. Acharya says if this was that easy you would have got it in a minute. Acharya says the traitor is one whom you trusted once. You are right siama. your parents love you but blind love destroys everything. You grandad loved your mom blindly and because of the same love she did a sin. Khalatak says please tell us clearly. Acharya says samrat was attacked by khurasan’s man. Devi dharma saved his life and served him. He fell in love with her and married . then someone set the emperor on fire. He came here and was oblivion that his wife gave birth to a son. He stayed away from his wife and son for 14 years. Samrat never wanted to marry noor but khusrasan blackmailed her. and would know the reason. i knew noor’s pain. He says I killed dharma’s dad and then i said on your order i have to erase all things related to dharma. I burnt their houses. Noor says who said this? Did you ever ask me what i want? You thought i would kill my husband’s wife for my happiness? I was heartbroken when Samrat told me about dharma but I didn’t know samrat was forced to marry me. Who got benefit from your decision? How did you think that samrat would forget dhrama after her death? What would have happened even if he had brought dharma here. I wasn’t the only queen here anyway. MNy son will have to pay for your sins. You have ashamed all of us and ruined everything. helena says noor you and your don’t have to pay for anything. Punish of father’s sins can’t be given to her daughter. samrat says she is right you dont have to worry about anything. Helena says to dharma why you came here after 14 years when you knew that samrat betrayed you? Is there any reason behind this come back? Acahrya says she didn’t come here by her will. I convinced her to come here. Khalatak says you knew everything still you didn’t tell anyone about dharama and ashok? Not even samrat. Acharya says i vowed that i will never enter this place. I met ashhok and saw samrat’s ring in his hand. I was taken aback how this kid has that ring? He recalls asking ashok whats your name? And how you have this ring? Ashok replied I will asnwer one question. My is ashok. Ashok samrat. Acahrya says that brought me to dharma. She believed that khursasn was ordered by samrat to kill her. She wanted to protect he child. I vowed her that i will never reveal their identity. she wanted to leave this place after she came here but ashok was stuck in blames. So i savd him. Dharma impersonated as servant so no one knows who she is. I saved ashok from all the accusess. I knew dharma wont ever leave ashok. so this is why she lived here near samrat. She never wanted ashok to recover about his dad. 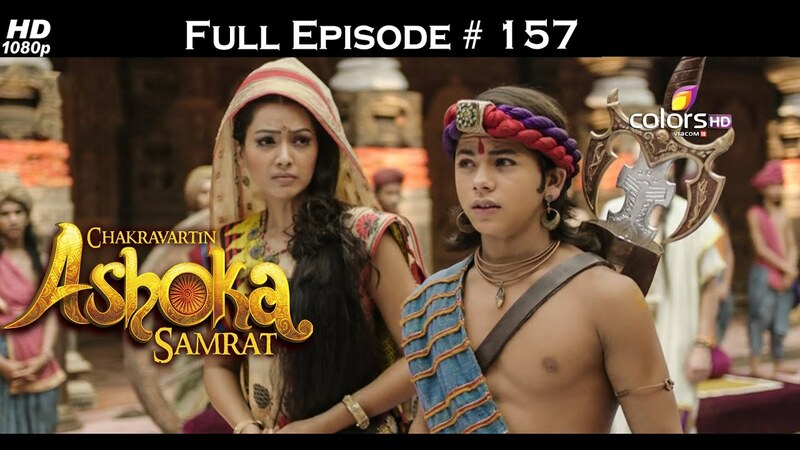 Dharma asked ashok not to tell anyone that the servant here is his mom. Chanakya says in court that yes it was known that Ashok’s mother, someone got to know that Ashok and Dharma are related so he attacked Dharma and everyone including me thought that Ashok’s mother Dharma has died, Ashok was not here and i wanted to give her royal treatment so i asked Bindu to do her last ceremonies, Bindu says when Ashok used to tell me about his mother, i used to feel that Dharma is very much like his mother, Ashok says i was sad that my mother had died but Bindu supported me at that time and we got close, Chanakya says then i got to know that it was Khurasan who was behind all this, he tried to kill Dharma 14 years back, then i got to know that Dharma is alive, i hided her to keep her safe, she wanted to be close to Ashok so i brought her in palace and appointed her as Subhrasi’s Savika, she was here from that time, Subhrasi says to Dharma that if i knew about you before then i wouldnt be ordering you as servant, you have taken care of Drupat like mother, i am sorry for not recognizing you, Dharma says i should be sorry to hide truth from you, Khalatak says its clear that Dharma and Ashok hided their identity as their lives were in danger, but how Niharika got to know about Dharma? Chanakya says Khurasan is responsible for it too, on vat savitri occasion, Bindu saw Dharma and Khurasan got to know about it, he was afraid that if his truth comes out in open that he tried to kill Dharma then he will be gone, he wanted to finish Dharma, he thought that if he kill betrayer of Magdh then he will be rewarded so he used Niharika to show Dharma as betrayer, Subhrasi says but Niharika gave proofs against Dharma, Chanakya says first proof was that Dharma’s anklet was found in flammable palace, it was because Khurasan was behind her and she was running from there, second proof against her was that Dharma killed charu’s servant but its not true as that time Dharma was with me in Vann, third proof was that Dharma is living in palace and planning against royal family, she was here but Khurasan was behind her, she was here as i thought this is safe place, Khurasan’s soldier tired many times to kill her, Siamak had seen his soldier behind her too, Siamak says yes i some khurasani servants trying to catch a lady but i saved her, Sushim says if you knew everything then why you didnt tell us all this before? Chanakya says because i didnt have proofs against Khurasan, i wanted to bring his real face infront of Bindu, Chanakya says Ashok didnt even know about truth of Dharma, he went o Champanagri and got to know about truth of himself and Dharma, he cameback and tried to tell everything to Bindu but i stopped him as we didnt have proofs to prove Dharma innocent, then we made plan to trap Khurasan in his own trap, Ashok acted like he is well wisher of Khurasan and he will make him meet Dharma, we kept Khurasan running behind Dharma, then on Bindu’s birthday, Khurasan came face to face with Dharma, he tried to kill Dharma and Ashok as he got to know about AShok’s truth too, then Bindu came there on time, Khurasan tried to kill three of them but Bindu caught him, all are stunned to listen this, Ahenkara says Niharika have cheated me, why did she do this? where is she? 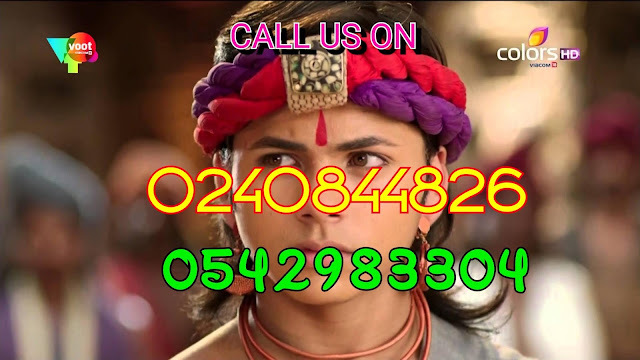 Bindu says i didnt want to do this but she attacked me and in order to save Ashok, i had to kill her, Ahenkara is shocked and says maa cant leave me like this, she cries, Ashok is in tears too, Charu ask servant to take Ahenkara from here, Ahenkara leave with servant, Bindu says today whatever happened and how Chanakya told everything, after that truth is clear, i have not doubt now, my son Ashok and my wife Dharma was not involved in any conspiracy, Bindu says i announce my son Ashok and my wife Dharma as innocents, they are free of all charges, Siamak smiles, Helena, Charu, Noor are tensed, Dharma smiles at Ashok, Ashok hugs her happily, Lal mere plays, both are happy, Bindu smiles seeing them, Chanakya and Radha are happy too, Helena chants that Queen Dharma and prince Ashok are great, all chant behind her,Bindu gets up from throne and comes to Dharma and Ashok, he looks at Dharma who emotionally looks at him, Bindu extend his hand, Dharma smiles and holds his hand, Tumhi toh mere they, tumhi toh mere ho plays, Bindu takes Dharma to throne and calls Ashok too, Ashok runs and hugs Bindu, Dharma hugs him too, Bindu says to Dharma that it is known fact that you are most precious wife of mine but i married Charu before you so your position will be less than her, you will be my 2nd wife, he says to Ashok that i will make you meet your brothers, he takes AShok to Sushim, Ashok tries to hug Sushim but sushim shows friction, he then looks at Bindu and hugs Ashok in anger, Ashok then comes to Drupat who happily hugs Ashok, Drupat takes Ashok to Siamak, three of them hug and smile, Bindu makes Ashok stand beside Sushim and says from today this is your position, Bindu says to Chanakya that you on my birthday you have given me new life, Chanakya says no your love for Dharma has made all this possible, Khalatak says till betrayer doesnt get punishment, Justice is not completed, khurasan is brought in court, Bindu says we have rule that betrayer of royal family or betrayer of Magdh is given death sentence, and Khurasan is betrayer of royal family so i order to hang him to dea.. Dharma stops him and says no, all look on. PRECAP- Ashok says to Helena that i didnt know you will love me so much, Helena says you have to see much more, Ashok hugs her. Helena says to Nicator that Chanakya will try to show Bindu that how much Ashok is like him but i will show Bindu how much Ashok is unlike him, how much he differs from his personality, the Ashok who has united his parents will become reason for their split too. It is awesomely great lol. I love the end as being a joyful one.